$10 Online or $15 at the Door!! 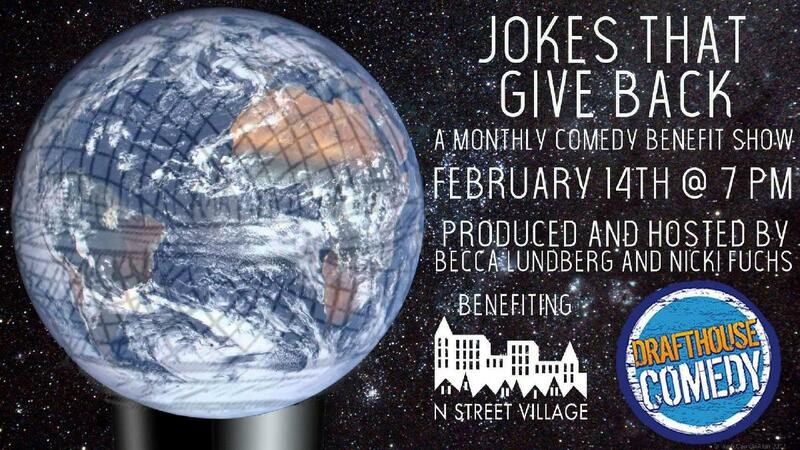 On the second Wednesday of every month, Baltimore's Nicki Fuchs and D.C.'s Becca Lundberg bring you Jokes That Give Back: a standup comedy show starring stellar comics from the DMV and beyond dedicated to fundraising for charities in the community. This February, a portion of the show's proceeds will go to N Street Village. N Street Village empowers nearly 2,000 homeless and low-income women in Washington, D.C. to claim their highest quality of life by offering a broad spectrum of services, housing, and advocacy in an atmosphere of dignity and respect. The Village helps women achieve stability and make meaningful gains in their housing, income, employment, mental health, physical health, and addiction recovery.